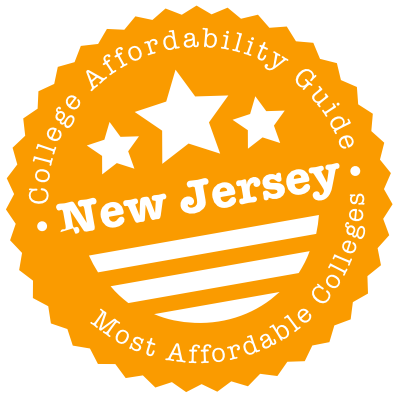 Scroll down to see our top-ranked colleges in New Jersey, loans and scholarships for New Jersey students, and advice on how to save money going to college in New Jersey. Georgian Court University, which is located on a 156-acre estate formerly owned by financier George Jay Gould, is a coed college founded by the Sisters of Mercy. The university has more than 30 undergraduate programs and 11 graduate degrees. Georgian Coury was recently included in Washington Monthly's listing of Big Bang for the Buck Colleges, which honors colleges that improve social mobility among students by making a degree more affordable and accessible. More than half of undergrads qualify for federal Pell Grants, and nearly all incoming freshmen receive some sort of financial aid. The college administers grant and scholarship programs from New Jersey, such as the Tuition Aid Grant, along with federal aid programs. Established in 1766 and the eighth-oldest institution of higher learning in the country, Rutgers University is New Jersey's leading research university with almost 47,000 undergraduates and more than 19,000 graduate students coming from all 50 states and over 115 countries. Academically outstanding students are considered for the Presidential Scholarship, which awards $25,600 per year, including $11,700 in credit for on-campus housing and dining. The James Dickson Carr Scholarship ($10,000/year) and the Scarlet Scholarship ($3,500 per year, with additional $1,500 to $4,000 more per year, depending on Estimated Family Contribution) considers students with excellent academic records and strong financial need. International students may be eligible for the Rutgers International Award ($2,000 to $8,000 per year). Set in the foothills of the Ramapo Mountains along the New Jersey/New York border, Ramapo College is a small liberal arts college (approximately 6,000 students) that has 36 academic programs and more than 539 course offerings. Entering freshmen who meet the academic requirements are automatically considered for the following scholarship programs: Presidential Scholarship ($18,000 per year), Provost Scholarship ($10,000 per year), Dean's Scholarship ($6,000 per year) and the Academic Achievement Award ($3,000 per year). Students majoring in nursing or social work can apply for the Adler Endowed Scholarship. Sophomore and juniors interested in labor studies, social justice or Latin American socio-economic issues may be eligible for the AFT (American Federation of Teachers) Scholarship. Centenary College in New Jersey was recently granted university status, just a year before the private school celebrates its 150th anniversary. Centenary was featured in Money Magazine's 2017/18 list of the 711 Best Colleges for Your Money, with the university cited as a best value for educational quality, affordability, and alumni success. About 95 percent of full-time undergrads receive some sort of financial aid, with an annual award per student averaging $22,000 in grants and academic scholarships. Adult students returning to college and gradute students can also receive grants, scholarships, loans, and other aid. The college has an interest-free monthly payment plan so students don't have to pay the entire bill at the start of the semester. A suburban 2000-acre campus located near the Atlantic Ocean, Stockton University had a 2014 population of 8,570 full-time and part-time undergraduates and graduate students. Incoming freshmen with stellar academic records are automatically considered for the following merit-based scholarships: Presidential Scholarship ($18,000 per year), Provost's Scholarship ($11,000 per year), Dean's Scholarship ($7,000 per year) and the Stockton Scholarship ($2,000 per year). Transfer students may be eligible for the Excellence in Academics Award ($1,000 or $2,000 per year, depending on the student's GPA). Graduates of a NJ community college with an associate's degree who were NJ Stars recipients can apply for the NJ Stars II program in order to work towards a bachelor's degree in Stockton. Rowan University recently received $1 million to fund scholarships for financially challenged students from Give Something Back, a nonprofit organization. The money is for scholarships and other support for Pell grant-eligible students. Rowan already has an extensive scholarship program, with the Rowan Foundation awarding more than $2 million annually in aid. In addition to Pell grants, New Jersey residents may also be eligible for the NJ STARS award and New Jersey Tuition Aid Grant. Available jobs include federal work-study programs and an institutional work-study program open to students who don't meet the requirements for work-study. U.S. News ranked Rowan No. 90 in Top Regional Public Schools in 2018. Warren County Community College, spread out across two campuses in Washington and Philipsburg, keeps things affordable thanks in part to its participation in a state initiative. The New Jersey STARS Program provides free tuition to Warren County high schoolers who graduate in the top 15 percent of their class and head to their local community college. State residents with financial need further benefit from the New Jersey Tuition Aid Grant and the Educational Opportunity Fund Scholarship Program. Tuition and fees for in-county residents, out-of-county residents and out-of-state students are all under $200 per credit, making it affordable for everyone. Located in Wayne, New Jersey, 20 miles from New York City, William Paterson University offers graduate and undergraduate degrees through its colleges of arts and communications, business, education, humanities and social sciences, and science and health. The university grants merit scholarships that do not require a separate application beyond an admission application. Incoming freshmen are eligible for the William Paterson University Trustee Scholarship, which ranges from $1,000 to $6,000 a year and is renewable for up to four years. Transfer students are eligible for the Presidential Scholarship, $1,000 to $2,000 per year and renewable for up to four semesters. Scholarships are also available for transfer students who are members of Phi Theta Kappa or who enroll in the Honors College. Attending a New Jersey college on the cheap is tough, but achievable! Thanks to generous state financial aid programs like Tuition Aid Grants, you could have the means to afford big names (e.g. Rutgers), specialist schools (e.g. New Jersey Institute of Technology) and major public players (e.g. Kean). Most state funding is targeted at existing New Jersey residents who want to attend a NJ college, but there are exceptions to this rule (e.g. NJCLASS loans). To offset the high cost of living in areas like Jersey City and Newark, a lot of schools have also developed strong university aid packages for low-income students from any area. New Jersey’s college transfer system offers an easy way to transfer credit from community colleges to four year universities. There is a transferable core of lower division courses, a statewide guaranteed transfer of associate degrees, and a comprehensive transfer guide that enables students to see how courses taken at one educational institution in New Jersey will transfer to another. In New Jersey, students are able to take a transferable core of lower division courses. This means that the core courses that students complete at a community college or four year institution will easily transfer over to other educational institutions in New Jersey. Additionally, New Jersey offers a seamless transfer of credits from completed associate’s degrees. Students who have completed an associate of arts or an associate of science will be able to transfer into a bachelor’s degree program with junior status. Using NJ Transfer, students are able to see how courses from a community college will transfer to another college or university in New Jersey. More than 40 educational institutions in New Jersey participate in the NJ Transfer website. The website offers Recommended Transfer Programs that highlight courses that will transfer to four year institutions, either with a selected major, or with general education requirements. If you’re looking for cheaper degree options in the Garden State, start by visiting the HESAA (Higher Education Student Assistance Authority). This state government organization is responsible for administering New Jersey’s student grant and scholarship programs, the NJCLASS supplemental loan program and the NJBEST 529 College Savings Plan. The website is fairly comprehensive and contains lots of planning tools, college cost calculators, affordable loan info and help with FAFSA. Be sure to bookmark the page on New Jersey Grants & Scholarships: Fact Sheets and Applications. Have a particular university in mind? Some state-sponsored grants and scholarships (e.g. Educational Opportunity Fund) can be applied to private universities and community colleges, not just state schools. There are funds available for tuition and expenses, and loan repayment plans for public service (e.g. primary care). As always, we recommend you check the fine print—you could be required to provide proof of your NJ residency or GPA in order to qualify for certain state aid programs. Still in high school? Check out the New Jersey GEAR UP (Gaining Early Awareness and Readiness for Undergraduate Programs) initiative. To make college affordable for all, GEAR UP works with students, families and teachers to supply grants for various state projects, including mentoring, after-school tutoring, test preparation, counseling, university visits and more. Summary: EOF is geared towards low-income New Jersey residents who need extra assistance affording college. It provides financial aid for college costs (e.g. books, fees, room and board, etc.) that are not covered by the TAG program. Grants usually range from $200-$2,500 annually and participating institutions include public research universities, community colleges, state colleges/universities and independent colleges/universities. Eligibility: You must 1. Be a New Jersey resident. 2. Demonstrate that you’re from an educationally and economically disadvantaged background. 3. Apply and be accepted to a participating NJ college/university. 4. Meet your school’s academic criteria. 5. Have a gross income that falls below certain levels (the website has a list). How to Apply: To apply, you should file a FAFSA and then contact the EOF campus director at your choice of college—try the Financial Aid Office if you’re having any trouble. Each school has specific criteria for EOF admission and program participation. Summary: 1/3 of all full-time undergraduates in New Jersey receive TAG support. These generous awards (over $12,000 in some cases) are available to full-time undergraduate students who can demonstrate financial need & are enrolled in an approved New Jersey college, university or degree-granting proprietary school. Eligibility: TAGs are awarded on the basis of financial need. In addition, you must be a New Jersey resident and a full-time undergraduate student enrolled in an approved degree or certificate program. How to Apply: To apply, you need to file your FAFSA by the New Jersey state deadline. Visit the website above for more detailed information. Eligibility: It’s almost the same as TAG, except that you don’t have to be a full-time undergraduate. This grant is meant for part-time students enrolled in approved county colleges. Summary: New Jersey’s Foster and Adoptive Family Services provides educational assistance to current high school seniors who were adopted, are—or were in—foster care or have entered Kinship Legal Guardianship. Tuition Waivers are available for tuition and fees; Educational and Training Vouchers (ETVs) are granted to young people who need help with the next phase of their life (including college costs such as tuition and fees, room and board, supplies, transportation and child care). Eligibility: In addition to meeting the foster care requirements (see the website for specific details), new applicants must hold a high school diploma or GED and be between the ages of 16 and 23. Only youth 21 or older who have been continuously enrolled in post-secondary education since their 21st birthday and meet a required case history eligibility below will be eligible for the Education Training Voucher (ETV). How to Apply: Download the application form at the Foster and Adoptive Family Services website: www.fafsonline.org/njfc-scholars-program. Summary: NJ STARS awards are intended for students who want to earn an associate degree at a New Jersey community college.The NJ STARS award covers the cost of tuition (less any state and/or federal grants and scholarships) for up to 18 credit hours per semester. Eligibility: Only New Jersey high school students who rank in the top 15% of their class at the end of their junior or senior year are eligible for the scholarship (see the website above for all the requirements). How to Apply: To apply, you should file your FAFSA. If you receive other state or federal financial aid, NJ STARS will cover the rest of tuition costs. If you’re not eligible for financial aid, NJ STARS will cover the entire cost of tuition. For more info, visit HESAA’s page for New Jersey Grants & Scholarships: Fact Sheets and Applications. Summary: NJ STARS II awards (up to $2,500) are available to NJ STARS scholars who wish to transfer to an approved New Jersey four-year public or private college/university to earn a bachelor’s degree. (These schools must participate in the TAG program). Eligibility: You must have earned a 3.25 GPA in your associate’s degree to be eligible for a junior year scholarship. You must also maintain a 3.25 GPA in your junior year to receive the scholarship in your senior year. Students whose family income exceeds $250,000 will not be eligible for NJ STARS II. How to Apply: Applicants will need to file a FAFSA and provide proof of an associate degree and a cumulative GPA of 3.25 or higher. For more info, visit HESAA’s page for New Jersey Grants & Scholarships: Fact Sheets and Applications. Summary: The NJ-GIVS program is aimed at New Jersey women and minority students pursuing a certificate or degree program (e.g. civil engineering technology) in a construction-related field. The scholarship pays up $2,000 per year or up to the cost of tuition (less any federal, state, or institutional aid) when students attend one of New Jersey’s eligible institutions. Eligibility: You must be a a female or minority group member (see the website for specific criteria) with an annual household income below $60,000. You must also be a New Jersey resident and hold a high school diploma or GED. How to Apply: To apply, you should file a FAFSA and fill in a separate application form on HESAA’s page for New Jersey Grants & Scholarships: Fact Sheets and Applications. Summary: NJ GUS is a merit-based scholarship program for aspiring college students living in economically-challenged communities (e.g. Asbury Park, Lakewood, etc.). See the website for a list of these areas. Eligibility: Applicants must rank within the top 5% of their class and have a cumulative GPA of 3.0 or higher at the end of their junior year in high school. They’ll be required to complete a full-time degree or certificate program at an approved New Jersey college, university or degree-granting proprietary school. How to Apply: Apart from filing your FAFSA, there is no application process for this scholarship—HESAA will use your FAFSA to figure out if you qualify and send you a notice of the award. Summary: STB and LEOMS awards are granted to children and surviving spouses of New Jersey firefighters, emergency service workers and law enforcement officers killed in the line of duty. They provide free tuition at any public institution of higher education in New Jersey or approved independent institutions. Eligibility: In addition to being an eligible dependent or spouse, you must be enrolled at least half-time in an undergraduate program at an approved New Jersey college, university or degree-granting proprietary school. You will also need to maintain satisfactory academic progress. How to Apply: You will need to fill in a separate application form from HESAA in order to be considered. Visit HESAA’s page for New Jersey Grants & Scholarships: Fact Sheets and Applications to apply. Summary: The WTC scholarship is available to dependent children and surviving spouses of New Jersey residents who were killed or died as a result of injuries in the terrorist attacks against the U.S. on September 11, 2001. This includes dependents of those who died as a result of illness caused by exposure to the attack. Eligibility: In addition to being a qualified dependent or spouse (see above), applicants must be full-time undergraduate students. How to Apply: Fill in the application form on HESAA’s page for New Jersey Grants & Scholarships: Fact Sheets and Applications. Summary: The JRJ loan repayment assistance program is intended to support lawyers involved in public law careers. Although funds for this program are allocated from the Bureau of Justice Assistance, loan repayments are awarded and administered by designated state agencies. How to Apply: Interested candidates can contact HESAA at 609-584-4020. Summary: Administered by HESAA, NJCLASS are supplemental loans that are intended to help students pay for college expenses not covered by other sources of aid. Fixed-rate and variable-rate loans are available for undergraduates, graduates and professional students. Eligibility: Applicants must be New Jersey residents attending eligible colleges worldwide or non-New Jersey residents attending eligible colleges within the state. How to Apply: You can apply for a loan on HESAA’s NJCLASS website. Summary: To support healthcare in medically underserved areas throughout New Jersey, this generous program provides up to $120,000 in student loan redemption for 2-4 years of service as a primary care provider. Eligibility: Eligible professionals include primary care physicians, dentists, certified nurse midwives, certified nurse practitioners and certified physician assistants. Applicants must be New Jersey residents and licensed to practice in the state. How to Apply: You can learn more about the program and apply online via the website above. Summary: Thanks to a shortage of nursing faculty in New Jersey, the state government is providing a loan repayment assistance to students who commit to an approved graduate nursing education program (e.g. MSN, DNS, DNP, PhD). After graduation, these teachers must spent 5 years in full-time faculty employment at a school of nursing in New Jersey. Eligibility: In addition to completing an approved graduate education degree, applicants must be residents of New Jersey and live in the state during the course of the program. Summary: This comprehensive program provides free undergraduate college tuition to any child (born or adopted) of a veteran who has been officially declared a prisoner of war (POW) or person missing in action (MIA) after Jan. 1, 1960. Eligibility: The POW-MIA must have been a New Jersey resident at the time of entering service, and the child must attend a private or public institution in New Jersey and a copy of DD 1300 must accompany the application. How to Apply: For more information and an application form, contact the New Jersey Department of Military and Veterans Affairs. Summary: Partial tuition reimbursement ($400 for full-time; $200 for part-time students) is available to any veteran who wishes to attend an approved NJ educational institution. Eligibility: The veteran must have been on active duty between December 31, 1960, and May 7, 1975, and been a legal resident of New Jersey at the time of entrance into (or discharge from) the service or two years immediately prior to application. Summary: War Orphans Tuition ($500 per year) is available for children of service personnel who died while in the military, or due to service-connected disabilities, or who are officially listed as missing in action by the U.S. Dept. of Defense. Eligibility: The deceased veteran has to be a state resident and the child must be between the ages of 16-21 and be a resident of New Jersey for at least 12 months. New Jersey is an expensive state. If you and your family require any help with basic needs such as food, child care and utilities, visit the website of the New Jersey Department of Human Services: DFD Services and Programs. Well-known DFD programs include NJ SNAP (i.e. food stamps), Low Income Home Energy Assistance (LIHEAP) and Social Services for the Homeless (SSH). You can see if you qualify for 28+ of these state programs by self-screening at NJ Helps. You’ll find lots of useful resources on NJ 2-1-1. This service provides free advice on almost every low-income initiative in your community, including daycare facilities, shelters, affordable housing units, employment training programs, medical insurance and programs like NJ Find A Ride. We’ve also listed a number of county-specific social service organizations in our city sections below. Bigger universities naturally have more housing. Those headed for Rutgers-Newark can check out the Office of Housing and Residence Life; the university has 2,000+ students living on campus. For students lucky enough to be accepted into Rutger-Newark’s Honors Living-Learning Community (HLLC), the cost of room and board is completely free! NJIT is also committed to on-campus housing, with ~1,600 students spread over four residence halls. Smaller NJ universities deal with housing issues in different ways. For example, although Saint Peter’s University guarantees rooms for all undergraduates (check out their residence hall profiles), city schools like New Jersey City University (NJCU) and William Paterson (WPU) are more inclined to cater to commuters and part-time students. Almost all NJCU students live off-campus and commute. When in doubt, make a list of expenses (e.g. groceries vs. meal plans, utilities vs. dorm fees, etc.) and compare options – an on-campus vs. off-campus calculator can be found at CalcXML.com. You’ll also want to consider the crime rate and general cost of living in your school’s surrounding neighborhoods. In areas around NYC and Newark, university housing might turn out to be safer and/or cheaper than renting. Always ask your NJ college or university for advice on affordable off-campus housing. Most schools will have someone who can recommend websites and help with paperwork; major institutions will have oodles of extra resources. For example, NJIT has an Off Campus Housing Office where you can search current listings or set up an appointment to receive assistance. Rutgers has an entire website devoted to Off-Campus Living and Community Partnerships, with current apartment listings, legal advice, forms and checklists, safety tips and neighborhood overviews. In addition to searching Google and Craigslist for cheap apartments, you might also want to check out websites that allow you to target your school. ApartmentGuide.com, CampusRent.com, MyApartmentMap.com and TheOffCampus.com will allow you to search for listings near your specific New Jersey college. Out of options? Have a look at the New Jersey Homeless Shelter Directory. This includes listings of other services for the needy (e.g. medical). Utilities (e.g. power, water, cable service, etc.) aren’t always included in the rent. Before you sign any piece of paper, ask your potential landlord what kinds of utilities you’ll be required to pay and a monthly estimate of the bill. If your dollar is being stretched thin by energy and water bills, the NJ Board of Utilities has a fairly thorough List of NJ Utility Assistance Programs, including NJ Shares and the True and Page Programs. The True and Page Programs are expressly targeted at folks who are experiencing a temporary financial crisis. Along with free or low-cost university medical centers, there are plenty of community clinics and health centers in New Jersey that offer free or affordable medical care. You’ll find lists of these NJ organizations on NeedyMeds.org and FreeClinicDirectory.org. If you’re suffering from a mental health issue, don’t suffer alone. NJMentalHealthCares.org has a Directory of Mental Health Services and offers a free number, 1-866-202-HELP(4357) (TTY 1-877-294-4356), for confidential mental health information and referral. For your teeth, you can start by searching for places listed on FreeDentalCare.us. The New Jersey Dental Association also maintains a New Jersey Dental Clinic Directory for people who are having trouble getting dental care due to insurance or financial constraints. And don’t forget your home campus—university dental schools are usually a good source of cheap dental care. For example, rates for services at the Rutgers School of Dental Medicine (RSDM) are much lower than private practice. Some schools, including Rutgers, Kean University and Middlesex County College, have gone the extra mile to offer on-campus child care. If cheap campus care isn’t an option, the State of New Jersey maintains a Database of Licensed Child Care Centers, where you can search by county, city and even street! Most NJ college websites have a section specifically devoted to cheap transportation options—run a quick search if you’re looking for discounts and passes. For example, NJCU’s website section on Campus Life has information on the university’s extensive transportation options; WPU also has a dedicated Office of Commuter Services. Big schools will even have their own networks. At Rutgers, you can take advantage of the Rutgers-New Brunswick/Piscataway Inter-Campus Bus and Shuttle System for all 5 campuses; at Princeton, you can ride the TigerTransit Transportation System. Traveling to/from a smaller school by bus or train? Check out the New Jersey Transit website and information on the New Jersey Transit Student Pass. Full-time college students can save 25% on monthly passes when their school participates in the University Partnership Program. To help hard-working students who don’t qualify for SNAP, some NJ community colleges and universities have created their own on-campus food banks. For example, Bergen Community College’s Center for Food Action (CFA) is open to students, faculty, and staff in need of food and other emergency services. If this isn’t the case for your school, you’ll be welcome at local organizations. FoodPantries.org maintains an up-to-date list of New Jersey Food Pantries and HomelessShelterDirectory.org has a similar database of NJ soup kitchens, pantries and food banks. Moms or moms-to-be can also look into whether they qualify for the New Jersey WIC Program. Courtesy of its location near New York and its cluster of college campuses (e.g. NJIT, Rutgers-Newark, Essex County College, Seton Hall University School of Law, UMDNJ etc. ), Newark is a pricey place to exist. According to cost of living data from Sperling’s Best Places, housing and utility payments are particularly high. Add to that food and commuting costs, and you’re looking at a tight budget. For additional info on day-to-day life, visit the City of Newark website. New Community Corporation (NCC) is a one-stop-organization for Newark social services. It sponsors health clinics, an emergency food pantry, an adult learning center, an early learning center, a workforce development center and youth programs. Visit the Family Resource Success Center for advice, assistance and referrals. The Urban League of Essex County (ULEC) helps African Americans and disadvantaged residents in Essex County. Services include child care, renting/homebuying counseling, financial literacy education and workforce training. La Casa De Don Pedro is a community-based organization that offers a number of social services, including housing assistance, job development, immigration advice, counseling and health education workshops. Greater Life is a community outreach center that runs the Metropolitan Urban Family Institute – Family Resource Center, with free advice on financial literacy & budgeting, food vouchers and housing assistance & referrals. Programs for Parents (PfP) links Essex County families with child care options that meet their specific needs (e.g. class schedules!). You’ll find a long list of social service programs in North Jersey on the New Jersey Community Resources website. Like its next-door neighbor (Newark), Jersey City suffers from a high cost of living—especially when it comes to putting a roof over your head. Fabulous transportation networks help, but if you want to live off-campus in the central city, you’re going to be paying for your proximity to the Big Apple. Current residents will know this first-hand! For more information about day-to-day issues, visit the City of Jersey City website. The North Hudson Community Action Corporation (NHCAC) offers a huge range of social services—including housing counseling, primary care, job placement, Head Start classes and homeless prevention assistance—to Hudson County residents. United Way of Hudson County (UWHC) is an umbrella organization that works with various non-profit partners to provide affordable housing, tax assistance to low-income households, homeless shelters and emergency assistance. WomenRising.org assists women and families with social services, workforce development and advocacy services. To help folks find affordable housing options, the organization has a close relationship with the Fairmount Housing Corporation. Puertorriqueños Asociados for Community Organization (PACO Agency) is a bilingual organization that provides Hudson County residents with programs like health clinics fairs, family planning, first-time home buyers seminars, GED/ESL adult classes, college admission fairs, summer youth programs and computer literacy classes. For specific issues, you might also want to browse through the list of social service programs on HudsonServiceNetwork.org and North Jersey listings on the New Jersey Community Resources website. With a limited budget, you may choose to live around a lower-cost industrial area like Paterson and commute to schools such as Passaic County Community College, William Paterson University (WPU) or the College of Saint Elizabeth (CSE) in Morristown. The area isn’t known for its beauty, but housing costs in Paterson are far lower than Jersey City or Newark and the area is home to a huge range of ethnic groups. You can browse through real-life discussions about Paterson on the New Jersey City-Data Forum. For advice on the nuts and bolts of city residency (e.g. permits, homeownership, etc. ), visit the City of Paterson government website. The New Jersey Community Development Corporation (NJCDC) is focused on affordable housing (including assistance for young people leaving the foster care system), community development, youth services and educational initiatives. For example, the YouthBuild program gives young adults a second chance to earn their GED and attend community college. CUMAC is the largest food distribution program/food pantry in Passaic County and feeds over 3,000 low-income people per month. Eva’s Village has a number of programs to feed the hungry, shelter the homeless, treat the addicted and provide free medical and dental care to low-income residents. It also offers 50 units of affordable housing to Paterson residents. OasisNJ supports women and children throughout Paterson. Services include adult education classes (with supervised child care), social services, youth development programs and basic needs (e.g. food pantry, diapers, clothing, etc.). Additional resources can be found in the list of North Jersey social service programs on the New Jersey Community Resources website.